Astronomers using NASA’s Hubble Space Telescope have accurately calculated the rotational speed of a neighboring galaxy for the first time, by studying the long duration movement of the stars within the Large Magellanic Cloud (LMC). The movement of 22 fields of view containing stars within the LMC was tracked using Hubble’s Wide Field Camera 3 over the span of seven years to determine its movement, and distant light coming from a quasar located within another galaxy provided additional contrast in the background that aided the long-term observations. Findings now show that a central portion of the LMC galaxy takes around 250 million years to complete a full rotation. This time-span is similar to the time calculated for our own sun to rotate the center of the Milky Way galaxy. This long-duration observational discovery is similar to the one made by Hubble that determined the directional movement of the Andromeda galaxy, and how it’s on a collision course with the Milky Way that will take billions of years to transpire. 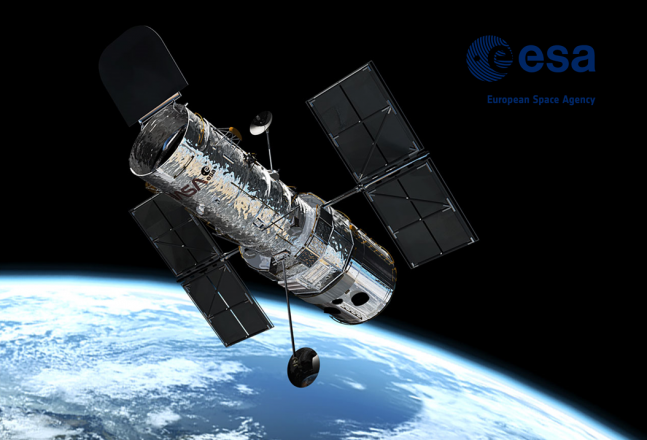 The standard method of determining the movement of galaxies deals with observing the astronomical Doppler Effect, or changes in the electromagnetic spectrum of light and radiation from the stars located within the galaxy. During blueshift, the peaks of electromagnetic waves in the light are closer together showing the direction of the light source is moving towards the observer. In contrast, if the light source is moving away from the observer, the wavelengths are stretched-out or redshifted. Astronomers have now been able to combine the Doppler Effect data with this newly acquired long-duration data to create a far more comprehensive computer simulation of the movement of LMC, complete with a fully rendered three-dimensional model. Two of the astronomers working with Hubble, Roeland van der Marel of the Space Telescope Science Institute in Baltimore, Md., and Nitya Kallivayalil of the University of Virginia in Charlottesville, Va., reflected on this new discovery in a recent statement released by NASA. 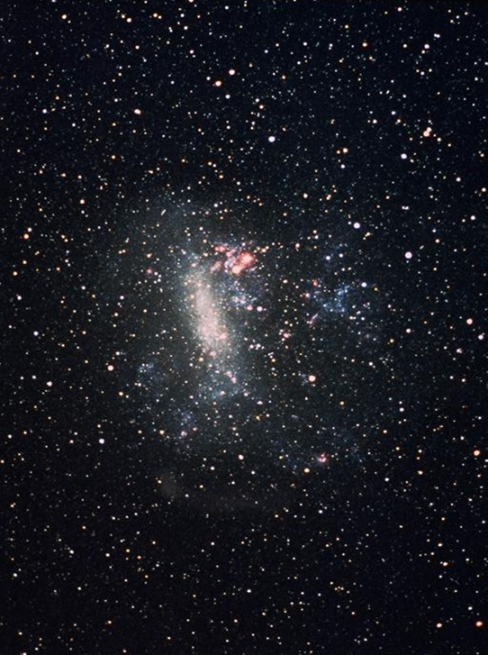 LMC is a satellite galaxy to the Milky Way, and is believed by astronomers to be gravitationally bound to the Milky Way along with its pair galaxy the Small Magellanic Cloud (SMC). Both the LMC and SMC are visible to the naked eye in Earth’s southern hemisphere, with visual observations of both made since before recorded history. The LMC is around 170,000 light-years away and is 14,000 light-years in diameter, making it 1/8th the size of the Milky Way. Both the LMC and SMC galaxies derived their names from the Portuguese explorer Ferdinand Magellan, who cataloged his sighting of them during an expedition in 1519, and is credited with spreading the knowledge of their existence to Western civilization. 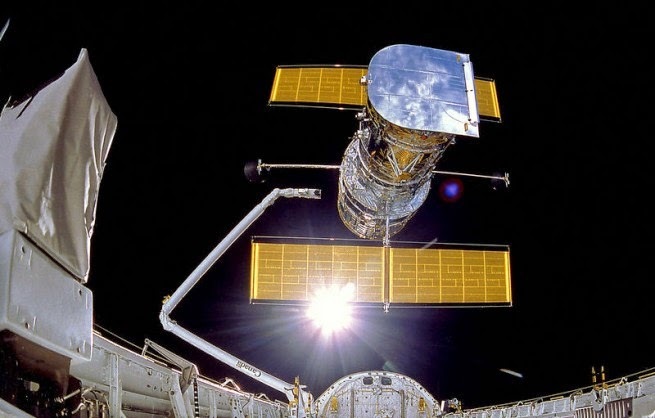 This is just one more revelation for the iconic Hubble Space Telescope, which is one of the most successful space-based telescopes in history. The same techniques used with Hubble in this discovery are now planned for studying the SMC to determine its rotational rate and how the two galaxies’ movements are potentially interacting with each other and the Milky Way.